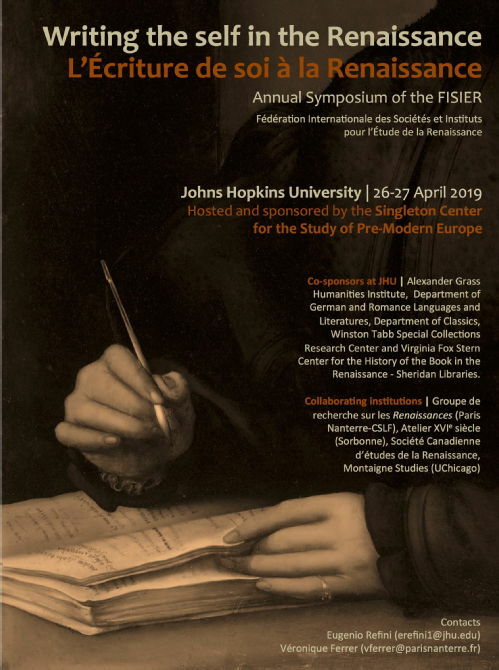 Panels and Roundtable "Representing the Self in the Renaissance"
Members of the FISIER are welcome to contact Eugenio Refini if they wish to advertise their activities on the website. La FISIER est sur Facebook! The FISIER is on Facebook!